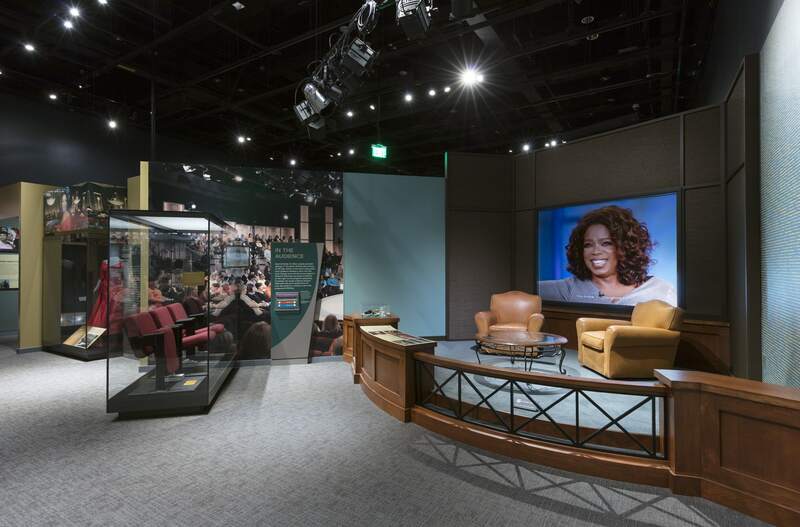 Although The Oprah Winfrey Show went off the air nearly seven years ago, fans of the program can relive some of its best moments in a new exhibit unveiled by the Smithsonian's National Museum of African American History and Culture. Winfrey speaks to a crowd at the Smithsonian's National Museum of African American History and Culture, where a new exhibit highlights the impact her syndicated talk show on America. Winfrey, the first African American to host a syndicated talk show and first self-made African American billionaire, broke ground with her historic TV program when it first aired on September 8, 1986. Aside from the fact that the show would go on to win 48 Daytime Emmy Awards, it featured, for the first time, a wide range of challenging topics such as self-image, racism, and sexual orientation with the hope of empowering people to recognize the power they had to change the world. Museum curators Rhea L. Combs and Kathleen M. Kendrick, with help from Winfrey's team, were tasked with placing the TV personality's story into context for visitors: "During her 25 years on broadcast television, her remarkable ability to connect in a familiar way with diverse audiences was crucial to her success. Many of the values she espoused on her show—including empowerment, education, spirituality and philanthropy—were rooted in her African American identity and upbringing." A look inside the new Oprah Winfrey exhibit reveals a plethora of iconic TV memorabilia. The exhibition—divided in three sections: "America Shapes Oprah," "The Oprah Winfrey Show," and "Oprah Shapes America"—explores the impact Winfrey and her syndicated talk show had on the culture of America. 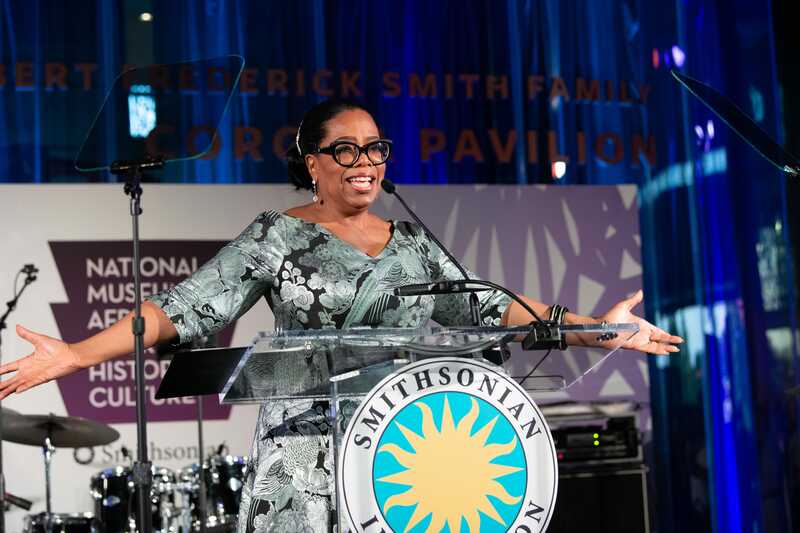 Over 240 artifacts were collected for the Smithsonian's new exhibit, including a variety from Winfrey's childhood and her time hosting The Oprah Winfrey Show at Harpo Studios, where the TV personality hosted over 4,500 episodes over a span of 25 years. Winfrey prays behind the scenes of her final show, which was watched by over 16 million viewers. "The thing that makes me the most proud, is watching the Oprah Winfrey Show and its impact on the culture." said Winfrey, who visited CBS This Morning on the eve of the exhibition's opening. "It has been off the air seven years as of May 25th, and there is not a day that I go anywhere in the world that there aren't several people who come up to me and tell me the impact the show has had on them." For more information on the exhibit, visit nmaahc.si.edu/WatchingOprah.